Weight Loss Hypnotherapy available in Doncaster, UK. How many times have you told yourself that, “On Monday, I am starting my new diet?” All goes well on Monday as you have the desire, the excitement and the dedication. However, by Friday, you are feeling deprived, fed up and longing for that curry or big piece of cheesecake that you have been trying hard not to think about all week! But you have been thinking about it all week and all the other foods that you know you can’t have. Strangely enough, the more you think about treats, the more you want them. Even when you were allowed them, you didn’t crave them this much…why is this? ‘Diets’ can cause us to think almost constantly about food, what we can eat, measuring portions or counting calories and what we depriving ourselves of. If we eat too little or not enough, our bodies go into ‘starvation mode’ and frantically store as many calories as possible as fat, rather than using them for energy, as it doesn’t know when it may get more calories. So after many years of trying different ‘diets’ and not being to obtain or maintain satisfactory weight loss, people often turn to Hypnotherapy. 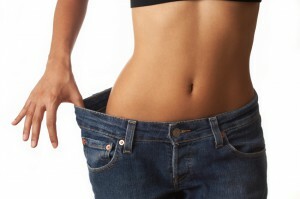 How will Hypnotherapy help me to lose weight? Hypnotherapy will enable you to think differently about yourself first and foremost. It allows you to think of the shape and size that you would like to be and then how you are going to get there – In an achievable way. It will stop you having cravings for old snacks and “naughty treats”, you will no longer feel the need to comfort eat or eat at inappropriate times of the day. Weight loss hypnosis will help you to recognise your own body’s true hunger signal and eat the appropriate amount at the appropriate time for you. Most clients have reported that they no longer even think about food in between meals or they just don’t feel the need to eat unhealthy foods anymore. Instead through the wonderful power of hypnosis, some may only want to eat healthily, eat smaller amounts and more slowly or they feel a need to exercise which they haven’t had before. Everyone is different and has a different reason for wanting to change their shape and size. That is why my WEIGHT LOSS HYPNOSIS Programme is created just for you. I am a WEIGHT MANAGEMENT SPECIALIST Hypnotherapist (Cert WMS). Following a FREE consultation, to determine WHY you are ready to make the changes, I will create a personalised 4 session programme just for you. This will help you focus on your goals, your desires and the changing your old mind-set. In no time at all, you will be feeling physically fitter and emotionally stronger, knowing that you are making all the positive, necessary changes to becoming the shape and size that you really want to be. Your personalised Weight Loss Hypnotherapy Programme consists of 4 one hour sessions. Ideally these need to be at least once every fortnight – three weeks. You will receive a CD to reinforce the suggestions that have been made in hypnosis. The programme is £240 for 4 sessions (£60 each which is the usual price of my regular hypnotherapy sessions) and includes a CD. Payment is taken up front as you are more likely to commit to the sessions this way! Some clients find that after the 4 sessions, they want to continue having Hypnotherapy to help them remain focused and motivated. This is up to each individual. 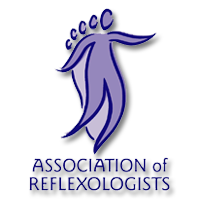 Get in touch with me to discuss any treatment or to book yourself an appointment. You can also find me on the Hypnotherapy Directory. Copyright © 2019 Jayne Hall – Hypnotherapist in Doncaster. Powered by WordPress. Theme: Accelerate by ThemeGrill.